EuroContactPool (ECP) is a unique solution for European B2B data and is wholly owned by European data giant Bisnode. The data spans over 21 countries across Europe, containing 40 million business and 31 million contacts from all industry sectors. By centralising the data into a standard, universal, format, ECP brings together the benefits of both locally sourced, country-specific, intelligence. This enables you to benefit from the convenience of consolidating your European data requirements all at one standard rate, from one source. This negates the need for many individual local country suppliers. Bisnode, with group headquarters in Sweden, are Europe’s largest provider of Smart data, and analytical solutions. 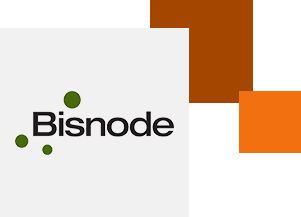 Bisnode operates 17 countries across Europe and has over 3000 employees. For over a decade, Bisnode has supported Intermedia Global as a UK data reseller. This integral relationship has proven to be a great success for our clients that conduct cross border European marketing campaigns. As of August 2017, Intermedia Global became official UK partner of Bisnode as providers of EuroContactPool data and Bisnode marketing solutions. This partnership only further strengthens the bond between the two organisations to bring cutting edge marketing intelligence to businesses across Europe. Select your target through a range of variables, get volumes and order the intelligence you require. The data will be delivered in a universal format for immediate implementation. Have real-time access to all 40 million sites and 32 million contacts, across 21 countries, with the new BBC API. Once integrated with your CRM system, you can utilise the benefits of having the contacts and business intelligence. Harness the power of 31 million contacts, from 21 countries across Europe, right from your CRM system. Build your perfect database by searching for contacts by specific company, industry, geography, job role etc. Connect and match them to your existing database, allowing you to benefit from in-house merging and de-duplication against your own records and the additional intelligence from enhancement of key firmographics and variables. Imagine never having to worry about decaying data. Through the use of Bisnode IDs, you can subscribe to regular updates that automatically update any contact information from your data that may have changed. Enhance your marketing with additional European business intelligence. Our European data gives you the ability to create highly targeted strategies based on a number of selections such as location, size, job role, industry etc. Containing over 40 million businesses, 31 million contacts, across 21 countries – the intelligence provides unique insights, that when utilised by you, could deliver exceptional results. You can have complete confidence in your data when supported by European ECP data. It is locally sourced in each country, combined into a universal format and regularly updated. You can create a whole new marketing database or simply enhance your existing one by appending additional intelligence. Regular updates will cleanse your database and improve the accuracy and ensure compliance. Champion your campaign analysis with in-depth breakdowns of performance. What sectors worked better than others, various response rates, leads/sales generated in each sector/country etc... Use that intelligence to build further campaigns focused on the most profitable areas. Analyse and identify your most profitable customers and unleash the potential of this data by targeting similar businesses in 21 other countries! Evaluate and understand your key customers buying patterns, identify their key characteristics such as size, revenue, industry, etc. Take the intelligence gathered, match those profiles to the ECP database, and identify businesses across Europe that will have the highest sales potential. Unfortunately there was a problem with your submission, please try again later or contact us by telephone.